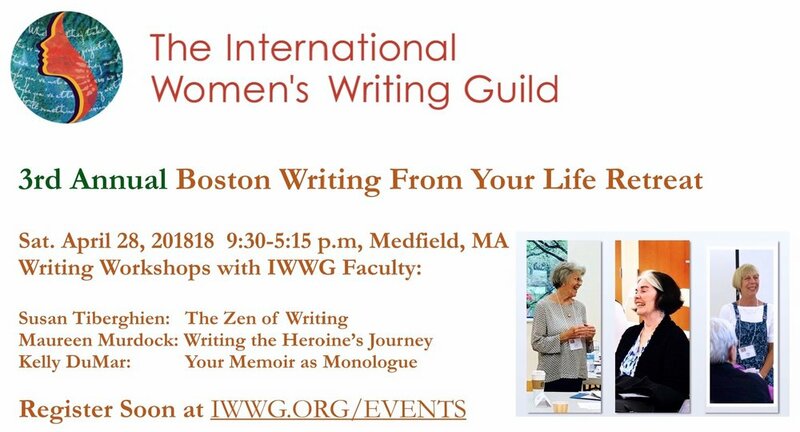 Boston & New England–area writers — Please join us for our 3rd annual day-long writing retreat with three outstanding IWWG instructors. 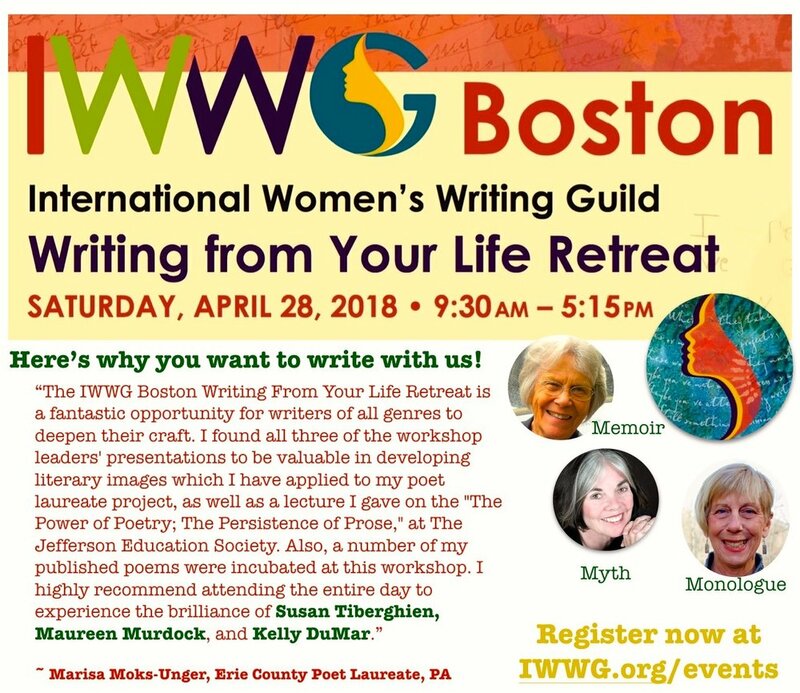 Our Writing from Your Life Retreat offers you professional and personal insights into writing memoir, myth, and monologue, as well as exceptional enrichment of your creative life. Experience the gifts of the Guild community during our annual regional event in MetroWest Boston! To enter into the mystery of Zen, we need to let go of all the distractions that surround us. We need to lift the lid of our conscious minds and open our eyes. What we see clearing, we will write clearly. We will focus first on journal writing, looking for seeds for life stories. Then on how to write our stories, focusing on both personal essays and memoir. In reading excerpts from C.G. Jung, Thich Nhat Hanh, Natalie Goldberg, Annie Dillard, and Suki Kim, we will let the practice of Zen inspire and illuminate our own writing. Now, more than ever, women are speaking their truth as the feminine demands healing. In this workshop, we will explore the stages in The Heroine̕s Journey, which redefines the heroic quest for women. The journey entails an initial separation from feminine values, seeking recognition and success in a patriarchal culture, experiencing spiritual aridity and death, and turning inward to reclaim the power and spirit of the sacred feminine. As women claim their voice and name their experience, this workshop will provide a framework for their voice to be heard. Kelly DuMar There’s beauty and meaning to mine from your life story, and this workshop will help you artistically express and creatively share your life experiences through the medium of theatre. You’ll learn how to write successful dramatic monologues that are personally meaningful, emotionally satisfying, and relevant and engaging for an audience. Beginning and experienced writers are welcome!